Home » Collier Edition » For Goodness Sake RENOVATIONS Are Complete! For Goodness Sake RENOVATIONS Are Complete! In your lifestyle choices of deciding to eat healthy, live clean and add supplements to your diet, it’s imperative to seek out the highest-quality market and brands and to have the opportunity to discuss your options with an expert in nutrition. For Goodness Sake’s main priority is meeting your nutrition needs with researched information to educate the community. With an incredibly well-educated staff, they provide an affordable approach to staying well and fit for a long and healthy life. For Goodness Sake is a 30-year-old landmark and neighborhood marketplace for residents of Bonita Springs and Naples to gather and enjoy a positive energy destination for staying well through good eating habits, non-toxic products, and supplementation. For Goodness Sake has recently reopened after a summer of renovations to offer their customers the most advantageous shopping experience. The newly updated store is designed in “stations,” such as keto, paleo, gut-check, fountain of youth, and others to help customers to shop efficiently and quickly. For Goodness Sake offers organic produce, and a deli, which creates healthy handmade soups, wraps, and salads. They provide diverse lifestyle preferences and choices like vegan, gluten-free, and grass-fed alternatives. Everything is organic and free of chemicals, hormones or toxins. For Goodness Sake is biased to “plants before pills,” as they believe feeding the body creates optimal health; however, in addition to healthy foods, their supplement section is state-of-the-art with all of the most current choices for your healthcare needs. 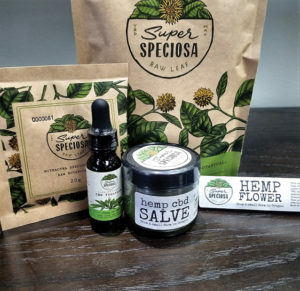 Their CBD dispensary, in particular, is the largest and most diverse in southwest Florida. 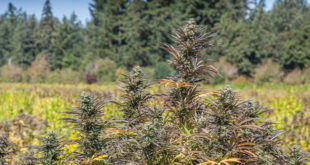 Their namesake CBD brand is aptly called “For Hemp Sake,” and it is sourced from Oregon and harvested in the spirit of organic farming principles. It is rigorously lab tested and offered along with a few other superior quality CBD brands to give their customers a variety of choices for cannabidiol treatment. Stop in to get your healthcare and dietary needs from the people who care about you and the planet!